The Pound New Zealand (GBP/NZD) exchange rate edged higher today and is currently trading around NZ$1.9254 on the inter-bank market. The New Zealand Dollar (NZD) fell against the Pound (GBP) today despite last night’s publication of the New Zealand building permit figures for February, which came in at 1.9%. The ‘Kiwi’ benefited today as Chinese shared surged over 3% today following the conclusion of the US-China trade talks in Beijing this week. This has encouraged Asian markets today, and as China is New Zealand’s closest trading partner, the New Zealand Dollar has benefited from renewed market confidence in its economy. However, this was not enough to gain against the surging Pound. Sterling, meanwhile, has surged today following the former Foreign Secretary, Boris Johnson, commenting on his support for Prime Minister Theresa May’s Brexit deal. Today’s important parliamentary vote on May’s Brexit deal will include a vote on the withdrawal agreement on its own, aside from the political declaration which will be voted upon separately. The Pound also benefited from the publication of the UK GfK consumer confidence figures for March today, which held steady at -13. These were followed by the UK GDP figures, which also held at 0.2%. Market confidence in the Pound has remained somewhat cautious however, as many MPs have criticised May’s deal and, with the DUP remaining firm on its refusal to back it. With Johnson’s backing, however, many analysts have become increasing optimistic. If today’s withdrawal agreement is approved today Brexit could be delayed until 22 May, however it requires a majority MP backing, and this is looking increasingly unlikely. The New Zealand Dollar, meanwhile, has failed to benefit from comments from the US Treasury Secretary Steven Mnuchin, who tweeted that US-China trade talks had ‘concluded constructive[ly]’ today. However, speculation is running high that the talks could drag on for months. ‘Kiwi’ traders will be looking ahead to Sunday for the publication of the Chinese non-manufacturing PMI figures for March. These will be followed by the Chinese NBS manufacturing PMI figures for March, and with any signs of improvement this could see the New Zealand Dollar rise. 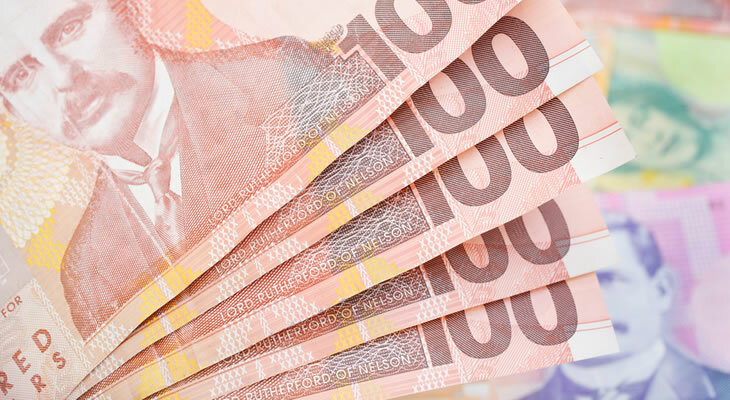 The GPB/NZD exchange rate will, however, remain sensitive to Brexit developments following the important vote today, and with any signs of Theresa May’s deal gaining the necessary backing this could see the Sterling soar.